Wheels and Bearings: Smooth cruising 59mm, 83A durometer wheels are paired with lightning fast ABEC 7 bearings to make sure you get where you're going quickly and safely. The wheels are designed to grip the tightest of turns without sacrificing the speed you need. 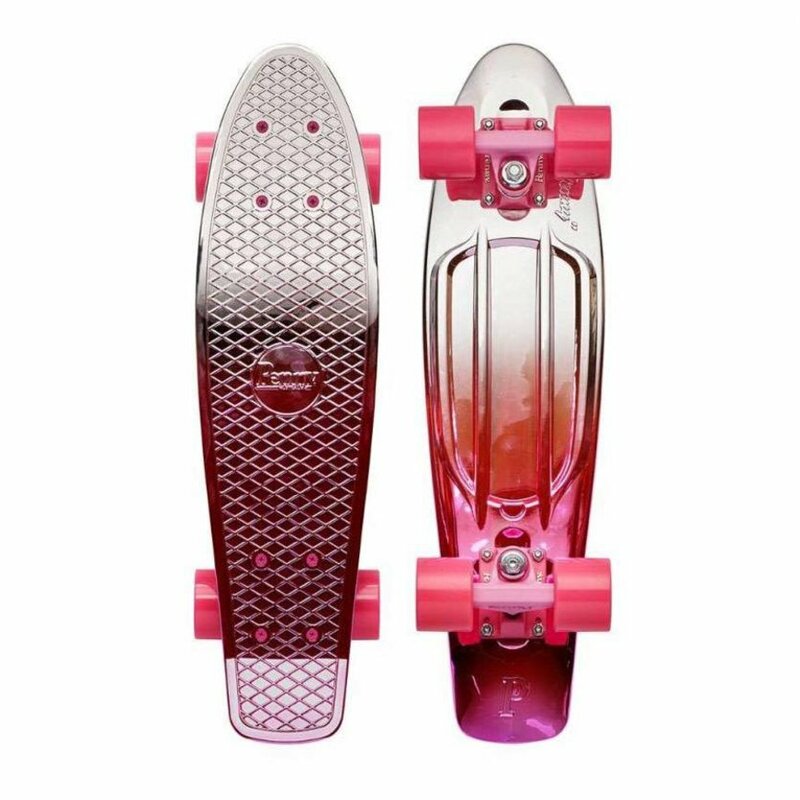 Trucks and Cushions: Pink powder coated trucks complete the theme of this Penny 22" board. The high-quality aluminum construction of Penny trucks keeps your ride light and strong, while the cushions make sure you're ready to carve. Tighten them or loosen them to suit your riding style. 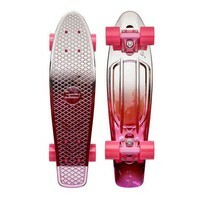 Bolts: The 22" Silver Pink Metallic Fade features pink high tensile deck bolts.